In order to fight increases in medication costs caused by some pricing practices, Maryland lawmakers passed a bill that aims to keep generics the same price. Generics make up more than 80% of the prescription drug market and brought about $75 billion to pharmaceutical companies in 2015. Now, these companies are trying to convince the governor not to sign the bill into law. According to the legislation, the Maryland Medical Assistance Program will notify attorney general Brian Frosh if generic medication prices increase by half in one year. Also, Frosh will receive a notification if the price of a generic prescription drug spiked while there are several pharmaceutical companies making it. In a case of price spike or any other violation of the law, the attorney general will be able to request a report from pharmaceutical companies that make the drug. The report includes the price, reasons for the price hike, production costs, and any efforts by the company to expand access to the medication. After a company violates the pricing law, Frosh can roll back the price for medication and return money to the customers by requesting that from circuit court force. Additionally, courts will be also able to impose a $10,000 fine on any company that violates the law. A spokesperson for Maryland Governor Larry Hogan said that he has not yet signed the bill. Maryland is one of several states that have decided to regulate prices of generic medications. The Maryland Senate considered a bill that would have required pharmaceutical companies that make medications costing more than $2,500 a year to report their expenses on research, development, manufacturing and marketing of the medication. However, the bill was pushed back because a pharmaceutical company representative said the bill could be a threat to future innovations as it includes disclosure of proprietary information. California, Nevada, and New York had their own initiatives on how to control the prescription drug market and take some control away from pharmaceutical companies. 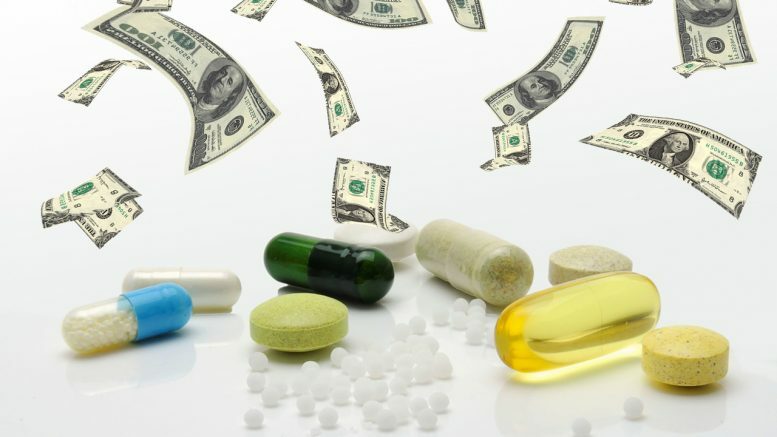 This fight between authorities and pharmaceutical companies is also occurring at the national level, since President Donald Trump announced his plan to reduce medication costs by increasing competition between U.S. companies and reviewing Medicare enrollee benefits. Trump met with Maryland congressman Rep. Elijah Cummings last month to discuss Maryland’s proposal. On the other side, Chip Davis Jr., the CEO of the Association for Affordable Medicines, said the legislation would give an unprecedented and unbounded level of authority, making pharmaceutical companies doubtful about building their business in the state. He pointed out that generics saved $3.7 billion for the state. The Association for Affordable Medicines called for a veto of the legislation. Davis called the legislation a vague and imprecise term that provided no meaningful standard by which pharmaceutical companies may discern if their prices set in a free market comply with U.S. law. The attorney general disagreed with Davis and stated that legislation would give a “necessary tool” to combat extremely unreasonable price increases for prescription drugs that had long been on the pharmaceutical market and are still important for public health. The Maryland Public Policy Institute is skeptical about the bill and criticized it in their publication, stating that it was a political move for the attorney general and lawmakers. The Institute said that the bill will not guarantee help for consumers. Be the first to comment on "Maryland Lawmakers Against High Medication Costs"